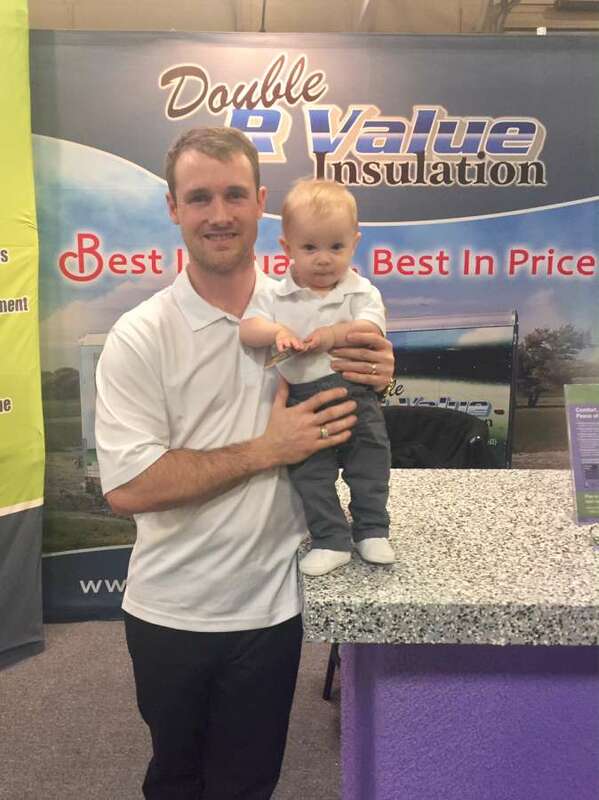 Double R Value Insulation is a company owned and operated by Jamie Weisgerber out of Lethbridge AB. Jamie is the proud owner and it shows that in the quality of workmanship that he turns into and absolute craft of perfection. Mastering this trade has become a dedicated part of his life in pursuit of expanding the company into the multiple spray foam rigs, thermal barriers, fireproofing, and coatings industry. Double R Value Insulation is a referral driven company that operates under the impression that success comes from quality, integrity, passion, and dedication to providing all clients with the best possible work. To show how committed this company is to providing quality assurance Double R Value Insulation provides a 10 year warranty on all work performed. Being a company that is certified to spray all types and most brands of spray foam insulation we are able to give our customer’s unbiased recommendations, solutions, and answers to all their insulating needs. Double R Value Insulation has been able to be successful because of the long-term relation ships we have made through clients and contractors. We believe we stand out from the competition by having the owner apart of every single job while installing only the highest quality of products available. Being that the main sprayer is the owner of the company really puts everything on the line personally and professionally. We want all of our future clients to be comfortable when choosing Double R Value Insulation. Therefore we are able to provide a long list of testimonials and references that will confirm how dedicated we are to serving all of our customers with nothing but the best. The heart and sole of our daily operations is provided by all of our sophisticated equipment. Double R Value Insulation has multiple self contained outfits that our capable of handling any project of any size. We have self contained units set up for spray foam, industrial coatings, structural fireproofing, and thermal barriers. Having multiple rigs available has enabled us to keep up efficiency in the event of a breakdown. This allows us to maintain deadlines and keep our customers on track. Double R Value Insulation is currently collaborating with the Secor program and has a "health and safety" policy with-in the company. We also always up-to-date on our Licensed Contractor certificate through BASF. All of our project managers have up to date installer applicator certifications, respirator fit tests, and given proper training to provide a safety job site evaluation. All of our sprayers will go through proper training in a registered course before they become "certified sprayers". Spray foam insulation does typically cost more than batt or fiberglass would. However not a lot of people look at the return value when choosing insulation. When you install batt insulation you will never do a perfect job and there will always be some sort of gap. With spray foam there is ZERO gaps and there is no air leakage. With such a great product in your house your furnace and air conditioner will run less giving them a longer life expectancy and giving you a much cheaper heating/cooling cost. There is no simple answer for this question however we strongly believe there is a definite VALUE with spray foam insulation and you truly do get what you pay for. A: Both of these are great products and are very similar in ways. However if you use spray foam instead of ICF’s you will have a seamless airtight wall unlike pre-manufactured styro foam seamed together to create a ICF wall. You will also notice the price difference for spray foam is a lot less money and has a higher R-value. The main difference between the two products is the vapor barrier, r-value, and price. Closed cell foam exceeds vapor barrier building codes as open cell does not. Open Cell has an r-value of 3.75/inch as closed cell is 7/inch. You might be thinking well who would want to use open cell when you could spray closed? Well both foams work better than each other in certain areas, ex: spraying those hard to poly areas like the rim joist is a excellent place for closed cell. Spraying those wide open areas like Cantilevers with open cell works great as it expands over 150 times its liquid form. Remember when choosing the foam certain areas work better than others, The staff at Double R Value can provide you with professional advice and answers to all your insulating needs. Spray Foam Seems To Be More Money Then Fiberglass, Is The Cost Even Worth It? YES! Your home needs insulation in it, why not use a product that will give you the most financial return? Would you rather pay 200 dollars on your utility bill or 400? The answer is just that simple and yes spray foam will lower your heating and cooling costs by at least 50%. Are All Spray Foam Brands The Same? No, every distributor makes their foam a little different. However all brands of foam are designed to do the same thing “Seal the Buildings Envelope”. So how do you know which one is the best when they essentially all do the same thing? We believe the more important thing here is how the foam is installed. Being certified to spray the top 3 brands in Canada I can unbiasedly say your contractor is the most important decision you will make when choosing foam. I Want To Make Sure I Have The Proper Foam In My Residential House, How Do I Tell? Every brand of spray foam applied in a residential house or living environment must have a CCMC number listed on the barrels. As long as this number is there you will have the safe foam for your home. Don’t go looking for this number by yourself, ask your contractor to show you this number along with the MSDS sheets. You contractor should also provide you with a data sheet, this will help you become better educated on all details of the product. Aren’t Buildings Supposed To “Breathe”? Won’t Spray Foam Make My House Too Airtight? Buildings don’t necessarily need to "breath", they need to be controlled. Humans breathe in fresh air and produce carbon monoxide. You can see why this might be a problem. Fresh air is important to the human body that is why if you choose to have an air tight home you need to control its environment. Installing proper ventilation is a crucial step with a fully sprayed house. The hvac company you have chosen can assist you further in the proper system for your home. Living In Lethbridge I’ve Noticed Tons Of Ants Inside My House, Will Spray Foam Help Keep Ants Out? The reason why ants or any other unwanted critters like mice are finding their way into your home is to seek shelter or they smell supper. Once ants find a food source in your home they leave a scented trail on their way back to the nest to lure other ants to the food source. Being that spray foam is an air tight product there will be no smells or heat coming out of your home that will lure in any unwanted guests. Can You Pour Foam Into My Walls? Can spray foam be applied to any substrate like concrete or metal? Yes spray foam is applied everywhere from exterior to interior, from concrete to wood to metal. Anything that needs insulating spray foam will exceed your expectations.